Are you preparing to move out of state? Whether you’ve accepted a new job or are moving to make a better life for your family, moving to a new state is a significant transition in one’s life. While this move is sure to mark an exciting new passage, it’s not to say this move comes without stress. In fact, studies reveal that moving in is consistently ranked as one of the most stressful events in one’s lifetime. Let’s be honest: moving to another city is stressful enough. But moving to another state is a whole other ball game. So, if you’re wondering how you’re going to manage such a significant move, you’re going to want to read this. We’re uncovering the ten best tips on moving out of state and how to make it work for your family. First and foremost, it’s essential to connect with a realtor in your new home state. This realtor can use their expertise to locate you a home that suits your wants and needs. In most cases, it’s best to begin your house hunt a few months prior to your move. Without having a home ready to move into, you’ll have to pay for accommodation as well as having your furniture in storage. As an added benefit, realtors also possess a wealth of information relating to your new place of residence. They will be able to point in you in the right direction for any services or simply help you to learn about your new state. With a move on the horizon, there’s never been a better time to minimize your belongings than now! Think long and hard about all of the items that you plan to move to another state. For example, ask yourself which clothes, furniture items, and appliances are getting enough use that they are worthy of the trip. Not only is moving an entire homes worth of items a chore, but it’s also incredibly expensive. If you’re looking to help cover the costs of moving, why not have a garage sale or sell your unused items online? It’s safe to say this is a win-win situation. 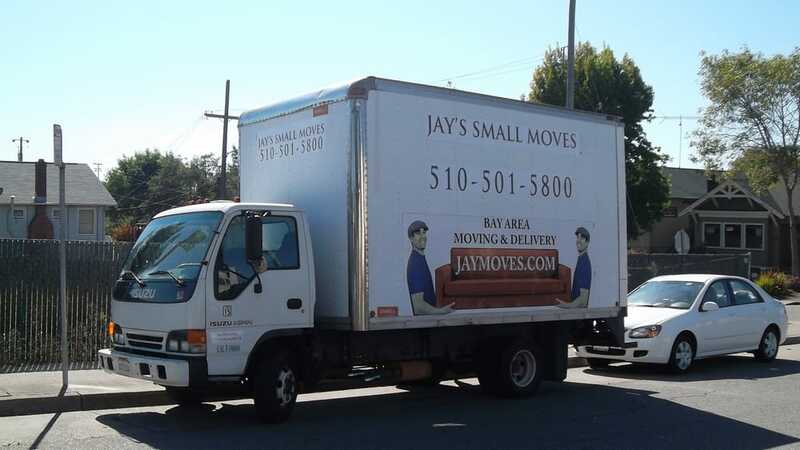 In today’s day and age, finding the best moving company to handle your stuff is a challenge. After all, there are so many companies competing for your business that it can be overwhelming to choose the best one for your move. The truth is, not all moving companies are created equal. Some have more experience than others and offer more high-end, custom services to their customers. One of the best ways to ensure that you are choosing the right moving company is to read online reviews. This gives you insight as to how prior customers have felt about their experience with that company. Remember, this is a large-scale move that is bound to require a reputable company to handle your belongings. The best advice for moving is arguably the most simple: began packing as soon as possible! The longer you choose to procrastinate, the more the stress will continue to pile on. First and foremost, create a strict schedule and timeline for packing. This includes a detailed outline of what needs to be packed by what date. If you make certain to abide by this schedule, the stress of the moving process is sure to be kept to a minimum. Remember, a little bit of packing each day goes a long way! When it comes to packing, be sure to pack the non-essentials first and the essentials last. In doing this, you can continue to use your essentials until moving day. These items should also be packed at the entrance of the moving truck to ensure they are the first items unpacked. It’s also beneficial to segregate the essentials versus non-essentials by something such as markings, labels, or box color. One of the biggest mistakes we tend to make in the whirlwind of a big move is packing away our essential documents. These are documents that may be required at any point between Point A and Point B. For these items, be sure to segregate and place these documents in a carefully labeled small box or folder. Even if these documents are not required for the move itself, they may be required shortly after. Most importantly, you’re going to want to contact the post office and notify them of your address change. From here, they can begin the process of forwarding your mail. This will ensure that all future mail being sent will be directed to your new home. Next, you’ll want to notify avenues such as your home bank and credit company, place of work, insurance, and utility companies, subscriptions, and individual service providers. If you plan to drive in your new state, you will likely be required to get a new license. In fact, some states even require that you attain this new license within a certain period of moving. In order to transfer, you’ll need to bring your current driver’s license and proof of residency in your new state. You will also need a piece of valid, government-issued identification. Keep in mind that some items such as satellite may also require an installation date. This is best arranged prior to the move as these installations are often scheduled well in advance. For pet owners, this stress of the move can be difficult for pets. That being said, it’s best to ensure that you are taking care of all pet-related tasks before the big move. First, pre-arrange how your pet will be transferred to the new state. Some choose to fly their pets others also choose to drive. Second, be sure to research what is required with your pet in your new state. Some states require the pet to be registered and attain a license. In today’s world, Americans are known for being frequent movers. In fact, the average American relocates approximately 11 times in their lifetime. With all of this moving around, it’s difficult to fight the stress that results in packing and moving out of state to a new home. This is especially the case for those that choose up-and-move to a whole new state. While the stress of moving may be inevitable, having an established checklist is sure to keep your stress at bay. After all, the stress up an upcoming move doesn’t have to result in sleepless nights. We’re certain these tips on moving out of state will allow your move to be quick and maybe even pain-free! To learn more about how a professional moving service could assist your move, be sure to check out our services page.